Henri Gréber, French, 1855 - 1941. After Auguste Rodin, French, 1840 - 1917. 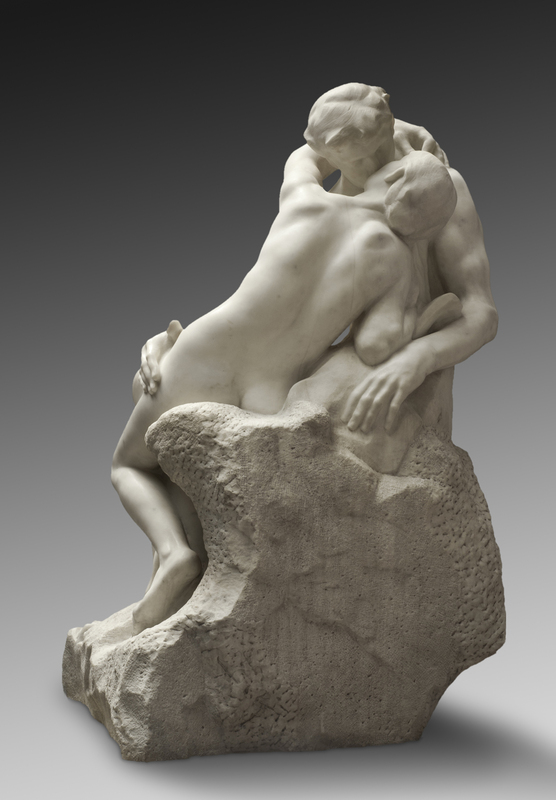 Jules Mastbaum, the founder of the Rodin Museum, selected this work for placement in the main gallery of the Museum, describing it as “perhaps the finest group in marble by Rodin.” The Musée Rodin in Paris granted Mastbaum permission to have a posthumous replica carved of the artist’s famous embracing couple, which was first conceived for The Gates of Hell (Philadelphia Museum of Art, F1929-7-128). 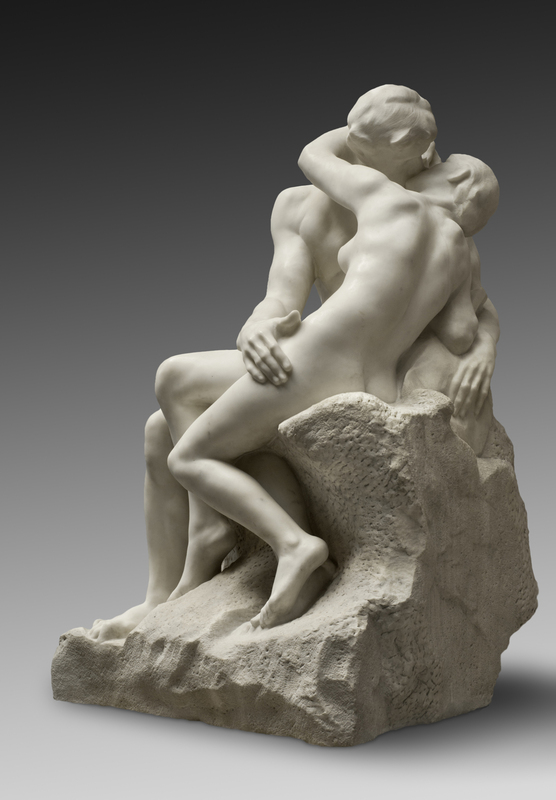 The Kiss was created especially for the Rodin Museum by French sculptor Henri Gréber (1855–1941), the father of landscape architect Jacques Gréber, who designed the Museum's garden. Mastbaum and both architects for the project (Gréber and Paul Cret, who designed the Museum building) felt strongly that the interior needed a large marble. 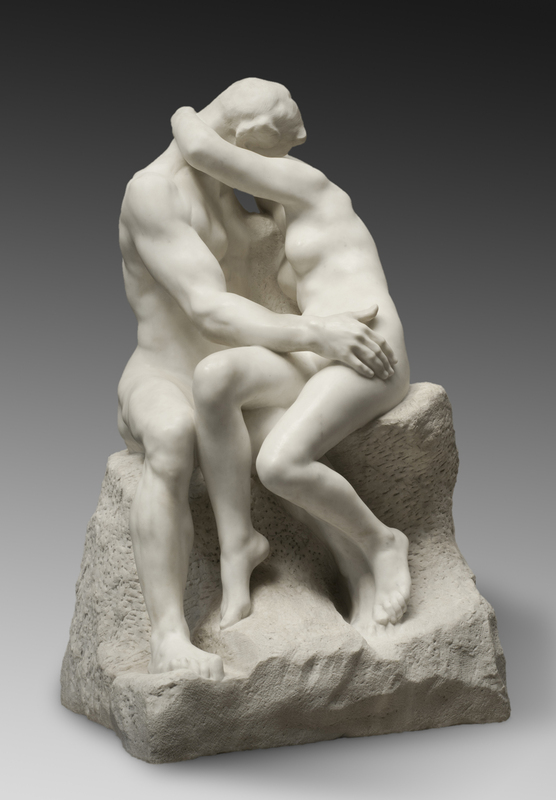 Unable to purchase one, Mastbaum approached the Musée Rodin in Paris with a request to have a posthumous copy made of Rodin's famous embracing couple. In scale, design, and feeling, The Kiss suits the main gallery of the Rodin Museum exceptionally well and demonstrates Jules Mastbaum's vision for the Museum as a place where the breadth of Rodin's work could become more widely known and appreciated. 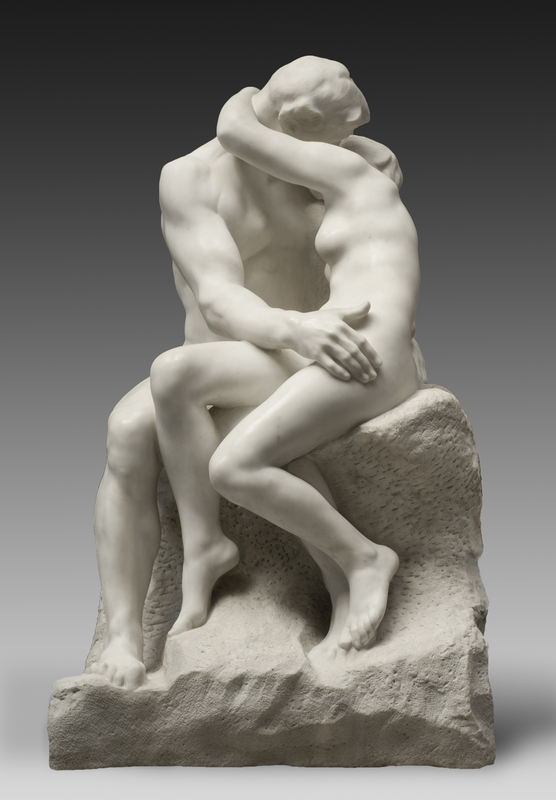 The embracing couple that forms The Kiss first appeared on the left door of Rodin's monumental Gates of Hell around 1880–81. The composition was inspired by the tragic love story of the historical figures Paolo Malatesta (c. 1246–1285) and Francesca da Rimini (1255–1285). In Inferno, Dante describes meeting the pair on his journey through hell. 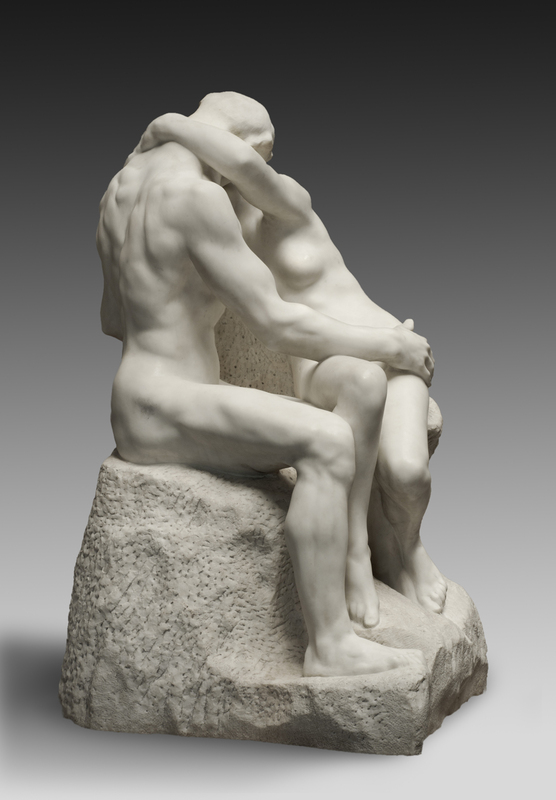 Rodin depicts the two lovers in the moment that they became overwhelmed by their feelings for each other. By 1886, Rodin had reconceived The Gates as a world of conflict and despair and removed these figures of pure bliss. He replaced them on The Gates with a pair of lovers (visible at the bottom of the right pilaster) that evoke the despair wrought by their ill-fated coupling rather than its joy.